Mathematics and Mathematics – Mathematical Informatics; Informatics, specialisation: Informatics; Chemistry, specialisations: Chemistry and Technological Biochemistry; Environmental Science, specialisations: Environmental Chemistry, Environmental Physics; Physics, specialisations:Physics, Physical Informatics, Occupational Physics Master’s programmes: Applied Mathematics; Methods and Models in Artificial Intelligence; Applied Chemistry; Chemistry of Active Biological Compounds; Environmental Conservation; Materials Physics; Theoretical Physics. Doctoral Studies:Mathematics, Informatics, Chemistry, Physics. A total of 14 Romanian cities were in the race for the European Capital of Culture 2021, but only four remained in the race. 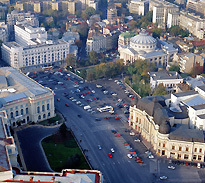 Bucharest, Baia Mare, Cluj-Napoca, and Timisoara are on the shortlist of candidate cities - www.romania-insider.com. The name is probably of Bulgarian or Serbian origin, due to historical autochthonous minorities in the area. The city is situated approximately in the center of Oltenia, at a distance of 227 km from Bucharest and 68 km from the Danube. Craiova lies on the ruins of ancient Geto-Dacian city called Pelendava, dating from 400-350 BC. The settlement is mentioned in Tabula Peutingeriana map commissioned by Caracalla, the Roman Emperor, and completed by Alexander Severus during year 225. 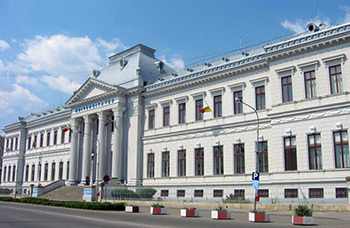 The evolution of Craiova occurs in the context of the overall development of the Romanian Country during the fourteenth and fifteenth centuries. Craiova-born Petrache Poenary (1799- 1875) - inventor of the first cartridge fountain pen. treaty known in history as The Peace from Craiova, was signed here. - The majority of train locomotives in Romania originated at the Electroputere workshops in Craiova. hence the name of bani (centimes) in Romanian language. - For those who want to find out more about the history and the traditions of this region we recommend a visit to the Oltenia Museum, housed in Baniei House (1699), the oldest non-religious building that exists in Craiova and one of the oldest lay buildings in the country. - Art lovers should definitely not miss the Art Museum in Craiova, hosted in the Dinu Mihail Palace, built in the early 1900s in neo-classic style by a French architect. 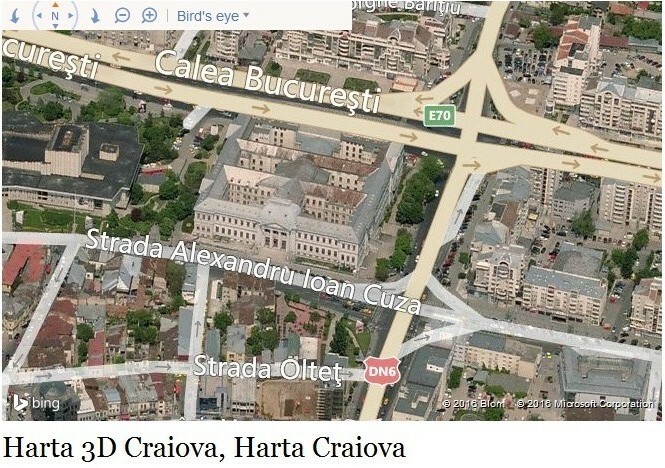 Craiova - main train station (Gara Craiova) Address: Str. Dacia. The train station is located about half a mile northeast of the city centre.